A beautiful new Book has raised the bar for the rapidly evolving publishing industry. Naturally it is an electronic book, but one that blurs the line between movies and books in a most beautiful way. The book, or actually the app is called ‘The Fantastic Flying Books of Mr. Morris Lessmore’. The movie, available on the iTunes store, is a beautifully animated tail of a character who loses everything in a storm, even his colour. And through books finds the verve to enjoy life and complete his own story. 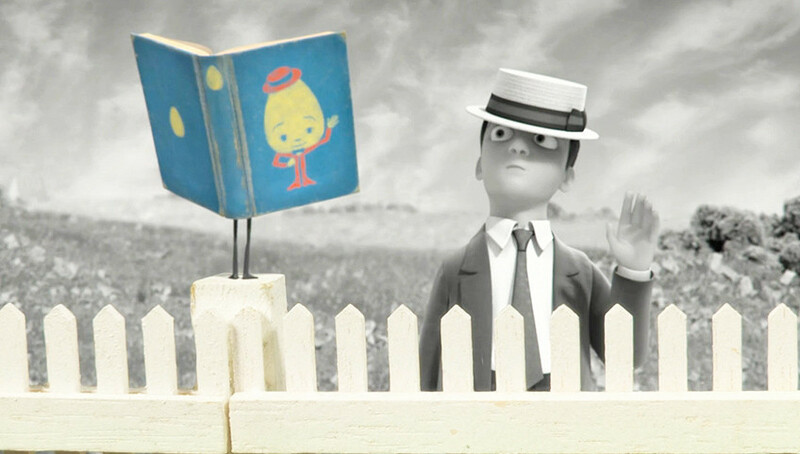 The movie and app are the brain child of William Joyce, Pixar old boy, illustrator and animator. Who with his team at Moonbot have produced what is sure to redefine the standards ebooks are judged in what has become a gold rush to publish in the new electronic frontier. What really sticks out for my though is not the technology, or even the creative and qualitative level the thing has been produced at. But rather the story, and as simple as it is, the way the essence of the story actually comes to life in the App. It’s a magical book about magical books. Brilliant! Some may dismiss it as just a fancy pop up book, and maybe it is, but if it is, it’s the best pop up book ever published. For a commercial effort that would be enough but I think this goes further, William Joyce, has wrapped his love of books, experiences of Hurricane Katrina, and a simple story of redemption into what I would class as an outstanding brand experience. As with any communication, whether it is a book or a brand, you must identify with the subject, find it believable, and enjoy the experience. Morris Lessmore does all this and more. Check it out in the iPad App Store. If you don’t have an iPad at least check out the short. As a experience for any child this would absolutely amazing. A interactive fun learning tool. I think something important to note is that the parent would enjoy the experience just as much as the child, therefor encouraging parents to actually sit down with their child. Thanks for the post. This is such a terrific use of new media. No longer can I read a bedtime book to my kids, it needs to be on the ipad with all the bells and whistles. Just what I have been looking for! It took me to another world, beautiful storytelling and smart use of music. I can see many a child on a long family trip watching this on their iPad in the back of the car. Sounds awesome Derek. I’ll be off to the app store shortly to buy it. Love it when you get such a graphic glimpse of the future.